Gustav Holst was one of the most important English composers of his time, even though little of his music continued to be played. Gustav Holst's paternal great-grandfather was born in Sweden, but all his other forebears were English. For four generations they were professional musicians, his father being organist and choirmaster in Cheltenham. Gustav wrote compositions as soon as he was able to hold a pen and played various instruments as fast as they came his way. When he was 12, he was already studying Hector Berlioz's orchestration treatise. Holst received his formal training at the Royal College of Music in London. When neuritis prevented his becoming a pianist, he took up the trombone, and for many years he supported himself by playing in opera and symphony orchestras, an excellent opportunity to become acquainted with a wide variety of music and to learn orchestration through practical experience. Beginning in 1903 he became a teacher at several London schools and, eventually, at the Royal College of Music. He knew Sanskrit and Hindu literature and composed several choral works and an opera based on Hindu epics. During World War I Holst was sent to Salonika, Greece, and to Constantinople to organize musical activities among the British soldiers stationed there. In 1923 he conducted and lectured at the University of Michigan, and he lectured at Harvard in 1932. 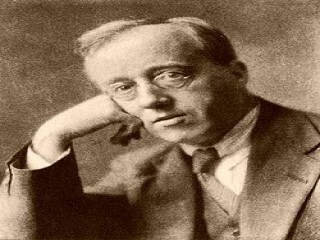 Holst composed about 50 works. Because of the importance of choral singing in England, many of his compositions are for choir. The best known of these are The Hymn of Jesus (1917) and the Ode to Death (1922). He also wrote many songs and several operas, including The Perfect Fool (1923) and At the Boar's Head (1925). Holst's most important piece, and the one that is most often played, is the orchestral suite The Planets (1914-1917). It is a large-scale, brilliantly orchestrated series of tone poems devoted to seven of the planets: Mars, Venus, Mercury, Jupiter, Saturn, Uranus, and Neptune. He uses polytonality and polyrhythms and treats the orchestra with great skill and freedom. English composers of Holst's generation were at a disadvantage in that they wrote at a time when Igor Stravinsky began to dominate the international musical scene. In the late 1920s, when Stravinsky turned to neoclassic ideals, composers who wrote symphonic poems and folk-based choral pieces were considered old-fashioned. Holst was an honest, if unfashionable, composer, and he did not follow the musical fashions of his day. He was always true to his background and convictions, and his music impresses by its sincerity and highly professional workmanship. The best studies of Holst were written by his daughter, Imogen, who followed the family tradition of being a composer and critic. They are Gustav Holst (1938) and The Music of Gustav Holst (1951). Another study, by an English composer, is Edmund Rubbra, Gustav Holst (1947). View the full website biography of Gustav Holst.